The Obama administration's travel rules on Cuba don't let Americans travel unfettered to the nearby Caribbean island, but personal travel licenses are no longer required and Americans can now bring back prized goods like Cuban cigars when they visit. However, whereas travelers, tour companies, airlines, and other travel providers previously had to apply to the U.S. Treasury Department for individual travel licenses to go to Cuba, the new rules allow these activities under a general license. In other words, travelers won't need prior permission from the government to travel to Cuba: you'll just have to show (if ever questioned) that your travel falls under one of the 12 approved categories and that your schedule centered on "full-time" activities consistent with one or more of the permitted travel categories above. Cuba travelers "must retain records related to the authorized travel transactions, including records demonstrating a full-time schedule of authorized activities," according to the U.S. Treasury Department. (See the Treasury Department FAQ and the State Department FAQ for more information). So-called People-to-People tours, already permitted under the law, operate under these rules because they are technically educational and cultural exchanges, for example. Flying to Varadero from Cancun on your own to spend a week at a beach resort would continue to be illegal. But the whole process would be more on the honor system than tightly regulated as in the past. 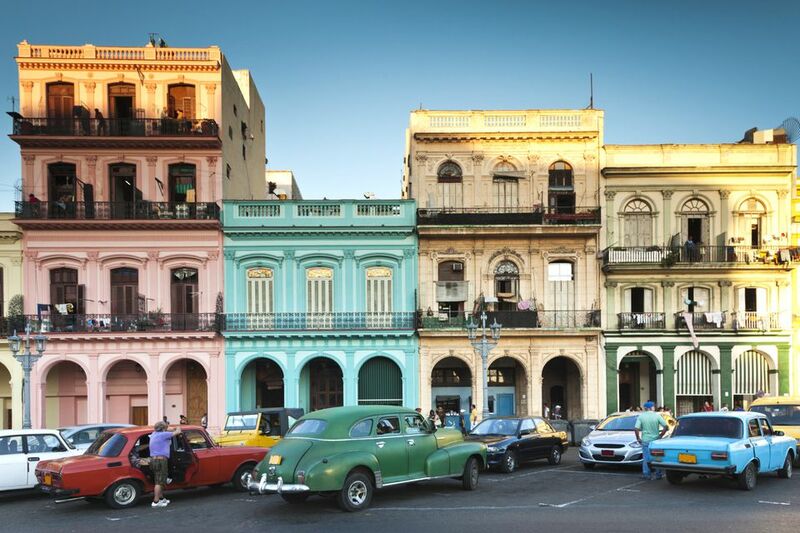 The bottom line is that the new rules open a door to independent travel to Cuba for Americans, as long as travelers craft an itinerary that adheres to the approved travel categories. "Tourist" visits (think sitting on a beach sipping mojitos) remain prohibited, however. With new direct air service between the U.S. and Cuba approved in the fall of 2016, air travel is as easy as flying anywhere else in the Caribbean (and cruise travel to Cuba has also begun. You also can now book Cuban hotel rooms directly, although one of the big challenges for Cuba-bound travelers is that demand for rooms is dramatically outpacing current supply. Booking an AirBnB in Cuba is another option if getting a hotel room is difficult. More cautious travelers can continue to join Cuba travel groups providing educational and cultural tours, safe in the knowledge that they fall under the rules and that the U.S. government isn't scrutinizing their activities nearly as closely as before. More broadly, the more lenient attitude toward Cuba travel suggests that the day isn't too far off when Americans can freely book scheduled flights to Havana and book hotels directly -- although that day is not here yet. There are no limits on how much money you can spend in Cuba. You can also use dollars to make purchases in Cuba and, where processing capacity exists, your U.S. issued credit card to make purchases. However, the exchange rate in Cuba for U.S. dollars remains poor, so many travelers instead bring along Euros or Canadian dollars.